SabeeApp makes it easy to process credit and debit card payments on your booking engine and with a one-click payment in your app. SabeePay was built to be accessible from everywhere. There's no restriction on the business location. No need to have any other extra account somewhere else. Everything comes to SabeeApp, which makes the whole ecosystem very reliable. As in so many other parts with SabeeApp, let the software work for you. You can set the invoice to be generated automatically, and you can even decide to be sent automatically. Automatic invoicing for your convenience. SabeePay idea was born from watching and listening our customers problems. We wanted to make the struggle of the payment processes including credit card validation, prepayments and non refundable advance payments easy and efficient. The money collected by SabeeApp will be transferred directly to your bank account on a regular basis. With SabeePay you are able to accept EUR. The list of accepted currencies is continuously growing. SabeePay was designed to give the smoothest check-out experience as possible to your guests. Full or Partial refunds has never been easier. One click. Simple and it's FREE. Disputed payments, such as chargebacks, incur a fee. If the customer’s bank resolves the dispute in your favour, the fee is fully refunded. Dispute cost is 20 € / dispute. A new credit cards arriving to SabeeApp will be charged with 1 EUR and if the transaction was successful we automatically refund the money. 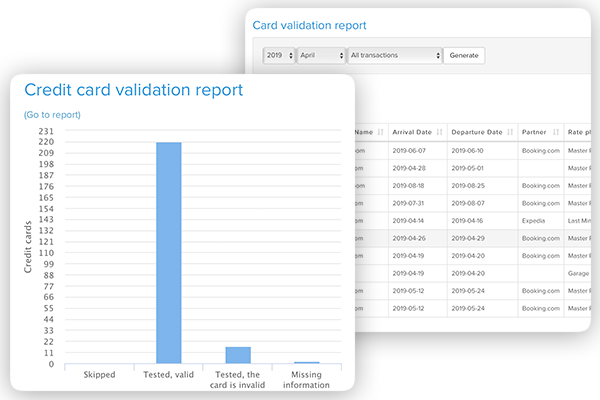 With this method we are able to check if the card details were accurate and also if international payments are enabled on the the card. With SabeePay we introduced One-Click payments. 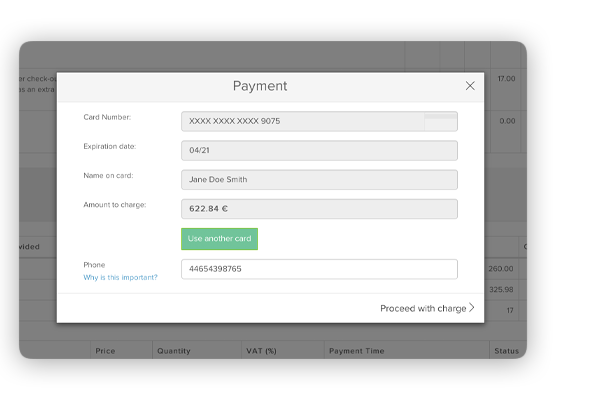 Processing a payment as easy as one click of a button. If the credit card was given during the reservation process, in case of a non-refundable booking you have the right to charge the client in advance. By navigating to the reservation page you only have to push the “Proceed to payment” button. One click, that’s it. What type of charges does SabeePay cover?